EBSCO Information Services (EBSCO) and Intellus Learning, an educational platform as a service company, have partnered to provide academic libraries with a content curation, assignment, recommendation and analytics tool. Intellus Learning allows instructors to access high-quality open education resources (OER) and other openly licensed content, as well as their institution’s academic library materials to help meet budgetary goals. 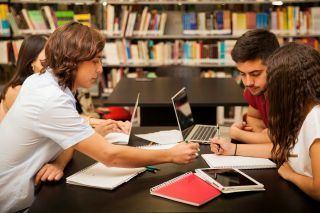 Students can engage with assigned course materials via the institution’s learning management system, including all EBSCO resources to which the library subscribes. Faculty can curate and assign pertinent OER and library content to students. The Intellus engine also offers a reporting dashboard that provides real-time insight into students’ engagement with the assigned materials.